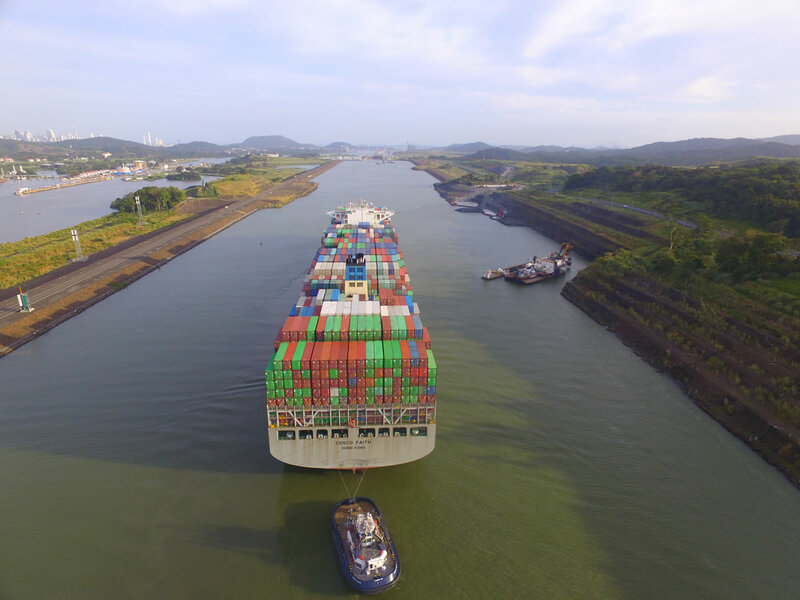 Today, the Panama Canal welcomed its 5,000th Neopanamax vessel through the waterway, reaffirming the value and impact the route has had on global maritime trade. The COSCO Faith container carrier transited today travelling southbound from the Atlantic to the Pacific Ocean. The vessel has a 13,345 total TEU allowance (TTA) and measures 366 meters in length and 48.2 meters in beam. The COSCO Faith is part of Ocean Alliance’s Manhattan Bridge-AWE2 service, between Asia and the US East Coast. Of the 5,000 Neopanamax vessels that have transited to date, 51 percent have been from the container segment. Liquefied petroleum gas vessels constitute another 26 percent, and liquefied natural gas carriers, a relatively new segment to the Panama Canal, make up 10 percent. Dry and liquid bulk carriers, car carriers and cruise ships make up the remaining transits.